Hat Trick Combo - Stinky Lockers Ltd.
Get your all in one Hat Trick Combo. Whether you have recruiters out scouting you or family coming to cheer you on, make sure your number is clearly labeled with personalized sports decals. Our Hat Trick Combo makes it easy for you to get all the custom made stickers you need in simple order. Any athlete will love personalized gifts they can use on the field, so surprise them with team pride. Order for a team and save! Price drops to $ 18 when ordering 10 or more! 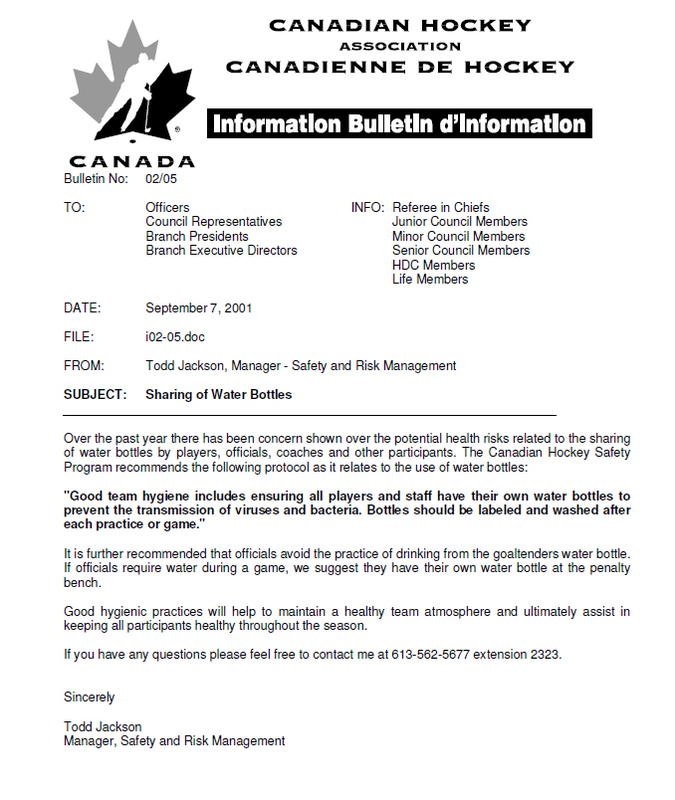 Did you know that Hockey Canada issued a bulletin in 2012 with regards to helmet stickers? Hockey Canada will no longer removed a player's helmet from the play for the application of stickers. Read bulletin below. 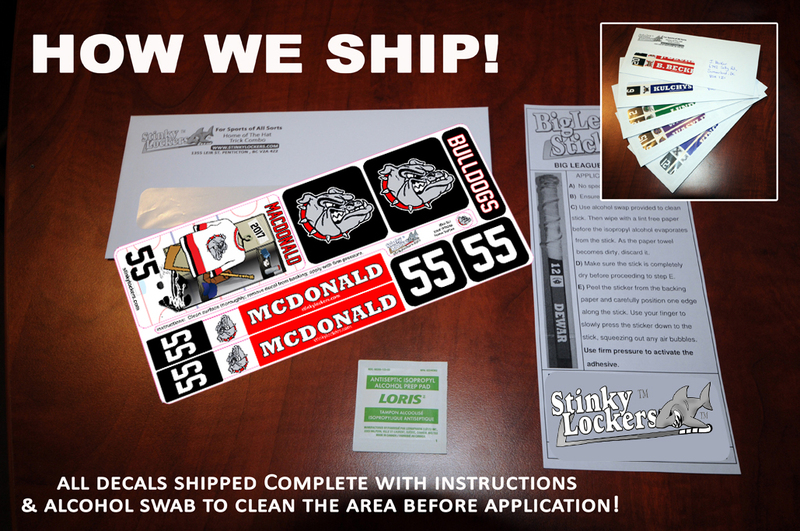 Great Product I’ve ordered decals for my son every year for about the last 5 years. He loves having his name and number on his stick and team logo on his helmet. Water bottle label stays on and makes it easy to identify. Makes him feel like he plays in the big leagues having the personalized items. Just received the Hat Trick Combo, and my son and I are very happy with the results. Color, and quality are excellent. Team also on board, with use of logo. The equipment will look as good as the boys!